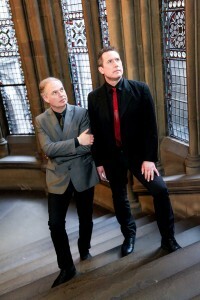 The release of History Of Modern in 2010, which effectively marked OMD’s revival with the classic line-up, could have been viewed as setting up the template for OMD’s sound in the 21st Century. But if OMD can be said to have one particular trait, it’s the ability to continually surprise. English Electric does exactly this with the presentation of an album that is both consistently good and surprisingly contemporary. One of English Electric’s obvious strengths is Paul Humphreys’ role in mixing the whole album. As a result, it benefits from a much cleaner and consistent sound when compared to History Of Modern’s often muddy and uneven mixing. The second shrewd choice is selecting songs that have only been penned in the past 2 years (‘Kissing The Machine’ being the notable exception). 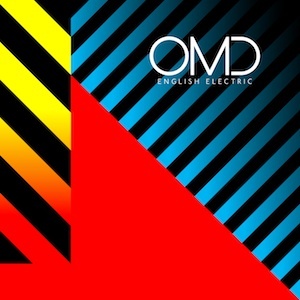 There’s also two very distinct influences on English Electric as an album that, alongside the production and song choices, have given this latest OMD work a solid foundation to build on. The most obvious template for the album is OMD’s 1983 release Dazzle Ships which although infamous for damaging OMD’s upward trajectory at the time has since been regarded as one of their most classic albums as well as a classic electronic music album all round. But to describe English Electric as purely being some pastiche of Dazzle Ships would be incorrect. Instead, they’ve paid attention to the ideas that Dazzle Ships demonstrated well, such as the idea that it’s OK to experiment and also that such experiments can help to give an album a sense of pace. 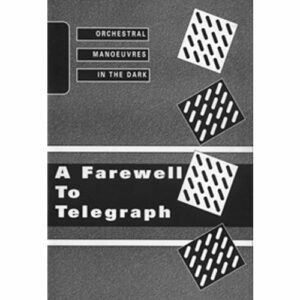 As with Dazzle Ships, English Electric opens with a brief overture and then peppers the album with experimental electronic collages that intersperse the traditional songs that make up English Electric as a whole. 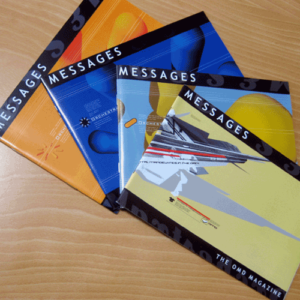 The band could be criticised for this approach (as they were in 1983) as a sign of being creatively short of ideas, except the collages featured, such as ‘Atomic Ranch’ and ‘Decimal’, present themselves as much more accessible musical works than 1983’s ‘Time Zones’ or ‘ABC Auto-Industry’. As a result, it allows the album room to breathe without resorting to the need to pad the album out with filler (It’s worth noting that English Electric’s original selection of songs was actually culled back during the final mixing phase as it was felt that the current selection of songs was just the right balance). The second obvious template is Kraftwerk, notably on tracks such as ‘Metroland’ – which some people have suggested is purely ‘Europe Endless’ tarted up for a 21st Century audience. But OMD were originally influenced by Kraftwerk so it seems churlish to be criticising the band for the German electronic outfit’s influence at this late stage. 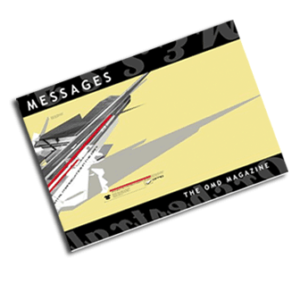 The opening track ‘Please Remain Seated’ (essentially a musical sketch centred around a PA announcement) promotes the album’s theme of failed utopias by suggesting that the future you had expected has been effectively ‘cancelled’ and that from this point onwards you shouldn’t know what to expect. This leads into ‘Metroland’ which has a brooding, stately drive to it augmented by a bright melodic tune and a subtle blend of choral effects. It’s also one of OMD’s lengthier songs clocking in at over 7 minutes, yet never appears to overstay its welcome. The radio edit, by contrast, is a fairly brutal butchering of a fine OMD moment, but then even Kraftwerk had the beauty of ‘Autobahn’ mercilessly edited down for a single release in 1975. ‘Night Café’ is all soaring melodies and warm rhythms topped with slice of life musings. In fact the lyrics were inspired by the art of painter Edward Hopper (which of course isn’t the first time that OMD have looked to the American artist for inspiration – see the cover artwork for the 1985 album Crush). There’s also an element of classic OMD here, which manages to work without being an obvious retread of OMD songs past. 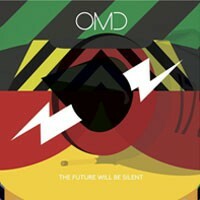 For ‘The Future Will Be Silent’, OMD dip a toe into dubstep while weaving in a collage of electronica and a slice of Gothic electropop. The inspiration for the song was from an observation that OMD had previously used samples on songs and that the samples were often culled from the ‘audio waste’ of machinery and devices (think shunting trains as used on ‘The Avenue’ or the pumps used on ‘Stanlow’) but that as modern devices became more efficient, these noises were no longer being heard, hence the song title. But placed against the OMD catalogue as a whole, it’s a startling composition that gives no indication or obvious landmarks that it’s an OMD song and emerges as a surprisingly contemporary track. OMD’s collaboration with Greek synth wonders Fotonovela comes to life on ‘Helen Of Troy’. Built up on a bed of warm, bassy electronics and strict rhythms, it’s a steady and robust number that’s countered by Andy McCluskey’s vocal gymnastics. ‘Our System’ pulls in actual recordings from the Voyager space mission (in this case the sounds from the craft passing through the magnetosphere of Jupiter) with a startling blend of electronic effects and traditional choral elements. It builds to a crescendo of choirs and percussive drumming before ending as it started with the eerie Voyager recordings. ‘Kissing The Machine’ is one of the more unusual choices for the album as it was originally recorded for the 1993 album Esperanto by Elektric Music (otherwise known as the post-Kraftwerk project conjured up by Karl Bartos). It manages to fit in quite neatly as part of English Electric’s overall pure electronic template (and also manages to recruit the dulcet tones of Claudia Brücken for the spoken segments) although whether or not this partial reworking (the vocal melody is pulled from the original recording, while the arrangement are new) can be declared a success is open to debate. ‘Decimal’ appears to owe its influence to the 1983 OMD track ‘Time Zones’ with its layering of vocal recordings, although Andy McCluskey claims the influence dates much further back to Einstein On The Beach by Philip Glass. For ‘Decimal’, the samples appear to have been built from voicemail messages against a minimalist electronic rhythm. It’s an effective slice of experimental and sets the scene nicely for the next song. ‘Stay With Me’ began life with the working title of Idea 3 (following on from the tracks Idea 1 and Idea 2 which emerged during the History Of Modern era) and is clearly one of the strongest songs on the album. 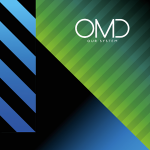 Paul Humphreys makes his long-overdue return to vocal duties on an OMD song with this slice of wistful electropop. Comparisons to earlier classics such as ‘Souvenir’ are inevitable and the lush melodic fabric of the song certainly call to mind the 1981 release, but ‘Stay With Me’ still manages to stand on its own as a beautiful and uplifting song. This is classic OMD, but on a much broader canvas. It’s also got potential single written all over it. If there’s one track on English Electric prepared to give ‘Stay With Me’ a run for its money, then it’s ‘Dresden’. A driving bass rhythm bolsters an epic melody with a wonderful vocal delivery from Mr McCluskey. This track has been selected as the second single and it’s not that difficult to see why. There’s something about this track that just ticks all the right boxes and the mixing puts every element at their individual strengths. 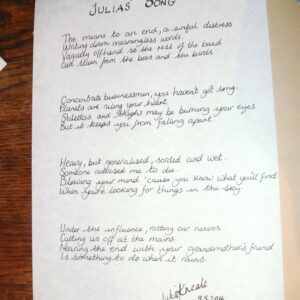 ‘Dresden’ is also clearly destined to be a popular live song. ‘Atomic Ranch’ is one of the tracks that emerged very early in the writing process for English Electric and was originally to have featured the vocal element delivered by Andy. Choosing to have the vocals recorded in an emotionless robotic sound synthesizer however, gives the track much more impact. Here we see the themes of failed utopias played out and removing the human aspect lends the idea a much stronger and bleaker outcome. ‘Atomic Ranch’ would have probably been the definitive statement to end the album on. As it is, ‘Final Song’ rounds out the album as a serviceable smooth electro-lounge number. It’s wonderful to discover that when you least expect it, OMD can deliver good solid tunes alongside more than a few surprises. English Electric is an album that can easily go up against the best of the contemporary Electropop artists (indeed, the latest Karl Bartos album Off The Record provides a good companion piece) and continues to assert OMD’s legacy as a pioneering electronic band. A more in-depth analysis of English Electric is available here on our English Electric In Profile article.